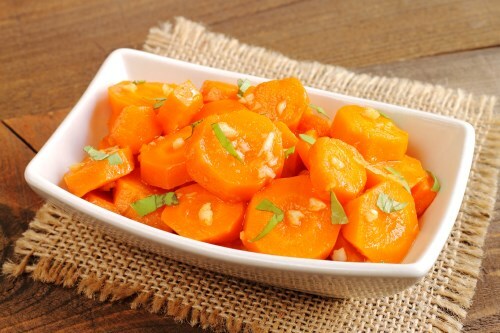 Combine carrots, water, garlic, extra virgin coconut oil, paprika, cayenne pepper, salt, and black pepper in a shallow pan; bring to a boil over medium-high heat and cook until carrots are tender and water evaporates, about 20 minutes. Stir vinegar and cumin through the carrot mixture. Remove the pan from heat and set aside to allow salad to cool to room temperature.